The Fortinet Next Generation Firewall (NGFW) Solution. ... The FortiGate next gen firewall is a high-performance network security appliance that adds intrusion prevention, application control, and anti-malware to the traditional firewall-VPN combination. 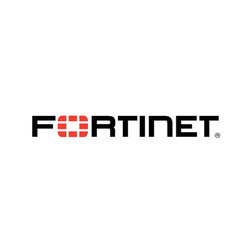 Among our wide range of products, we are offering a wide range of Fortinet Firewall. Being one of the well-distinguished companies in the market, we are involved in offering Fortinet Firewall. Price Range: Rs 20000 - 500000 /Piece. Cisco Meraki MX Security & SD-WAN Appliances are ideal for organizations considering a Unified Threat Managment (UTM) solution for distributed sites, campuses or datacenter VPN concentration. Since the MX is 100% cloud managed, installation and remote management are simple. - Sharing global threat intelligence. Whether you need to deploy a High Performance Data Center Firewall, an Enterprise Next Generation Firewall, or a smaller UTM device for your Distributed Enterprise site or small business, there is a FortiGate physical or virtual appliance to fit your unique Network Security requirements.